Gundiwindi Lodge is a total concept in school based camping. All inclusive packages are our signature product and Primary School groups are our specialty. We are here to help your staff create a unique program designed specifically for your group, incorporating catering, activity programs, accommodation, facilities and excursions for groups up to 114. Gundiwindi Lodge is situated on a unique 22 acre property which includes natural bush land, park-like spaces and open grazing paddocks. The property has a history dating back as early as 1882 when an Englishman, John William Lewis received a crown grant of land and roads. Today the main road frontage of the property is named “Lewis Road” in his honour. It is thought that the main house (now lodge) was built in the early 1920’s as a private holiday retreat for a wealthy inner city Melbournian family (Pender family- purchased property in 1922). In 1932, the property was purchased by the Montgomery family (John “known as Jack” Montgomery) and became known as “Gulistan” Persian for “Place of Roses”. The property was again sold in 1937 to the Robertson Family. The house has been well preserved, with most rooms in near original condition although the dining room and kitchen areas have been extended. During the mid 1900’s much of Gundiwindi’s history is not documented, although many locals remember the property being run as an equestrian centre known as ‘Lo Lodge’. Since 1984, Gundiwindi Lodge has been transformed into a fantastic recreational camp with a wide range of great activities and facilities. It’s long history continued over the years as Gundiwindi became a popular location for school camps, thanks to the site’s natural beauty and dedicated owners. In 2005, Tracey and Danny Alderman brought Gundiwindi Lodge, passionate for the opportunity to work with children and a vision to dramatically improve the lodge. 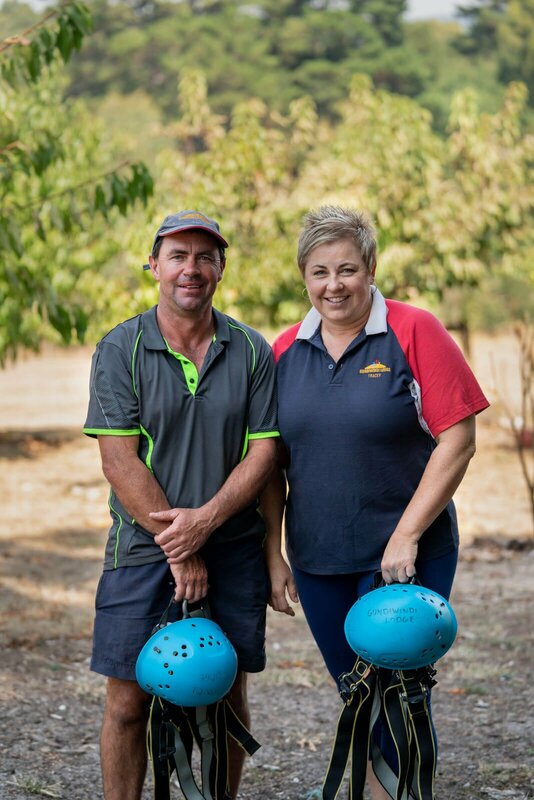 Tracey, with 10 years of Teaching experience, and Danny, with 15 years of Horticulture experience have transformed Gundiwindi Lodge in the time they have been there. Upgraded safety and hygiene facilities and enhanced aesthetics and activities have created a comfortable and ever popular lodge, perfect for all campers. Tracey and Danny’s pride in their work is obvious, and their commitment to clients is amazing. If you are interested in any more information regarding Gundiwindi Lodge, please contact us.